I’ve always been a fan of fried chicken. I mean, you can’t ever go wrong with it. The first time I was introduced to ayam penyet by my dad at one of our typical family lunches, I was blown away. This Indonesian delicacy is such a delight, and now it has become my must-order whenever I see it. 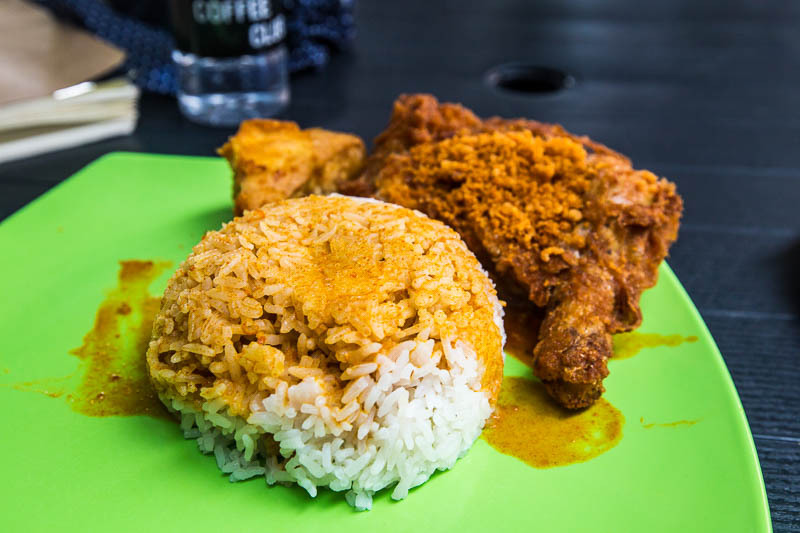 Ayam penyet is a fried chicken dish with a traditional twist. They usually serve a leg quarter, and they smash it to produce a more tender and juicy chicken. This helps to break up the batter into crispy, crumbly bits and separates the meat from the bone for easy consumption. As if that does not sound mouth-watering enough, the chicken is usually accompanied with fried tofu and tempeh, with a side of sambal. How do I grade a great plate of ayam penyet then? The chicken has to be succulent, with a fresh and crisp coating. 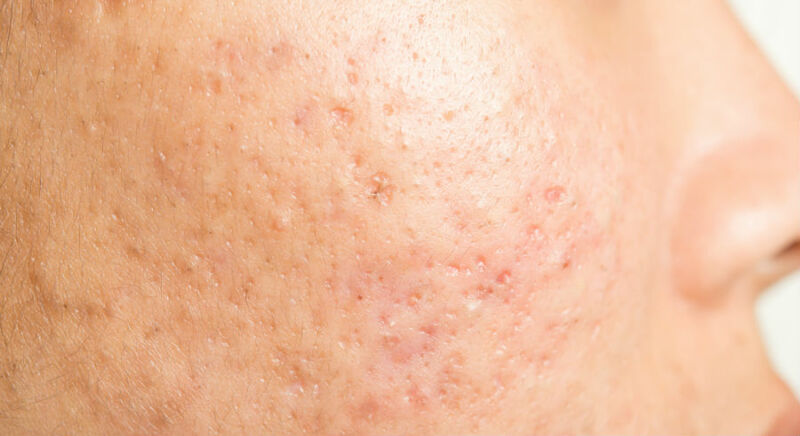 Not being overly oily is a plus, but not necessary. The batter also has to be flavourful, and not one-dimensional. Finally, the sambal completes the entire dish. Spicy and sweet, it elevates the flavour profile of the chicken and cuts through the oiliness too. 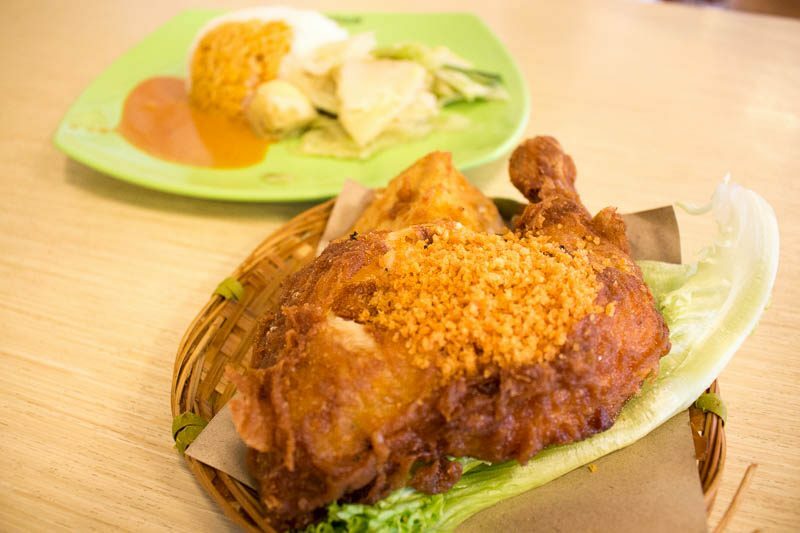 Here are 10 delicious ayam penyet stalls in Singapore worth smashing your diet for. 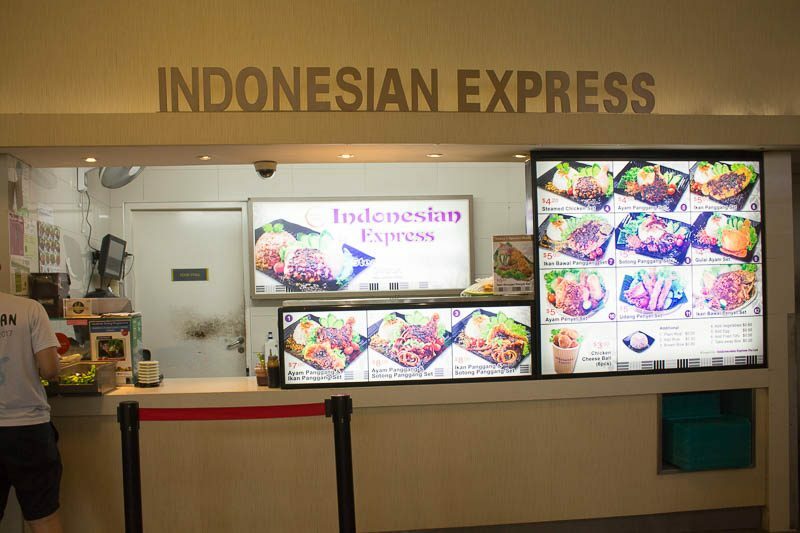 I had to feature Indonesian Express as the first place. This is one of the franchises with multiple outlets, located in many places especially in schools. However, this outlet at UTown in NUS is my favourite place for ayam penyet because it never lets me down. The Ayam Penyet (S$5) with vegetables ($0.60) is my go-to order. The chicken here is fried to perfection, even when there’s a long queue. Tearing apart the crisp skin reveals a generous chunk of tender and juicy chicken within. The crispy crumbs here are exceptionally tasty, which goes well with rice. I also like that they offer egg and vegetables as top-up options, to make it a more balanced meal. The vegetables help to cut through the oiliness too, which is an added bonus. 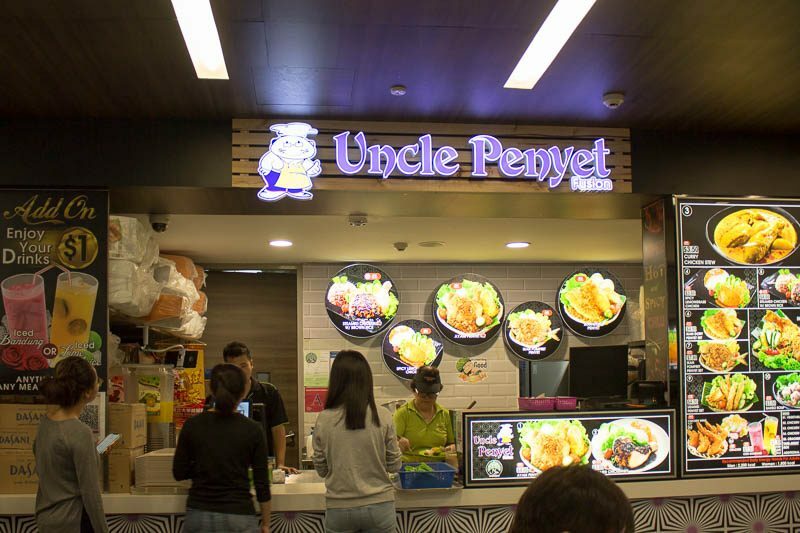 Uncle Penyet has several outlets across Singapore, but I must say that I only frequent the one at the Science Canteen in NUS. Not only because I’m a student there but it is much more affordable as well. My order when I’m there is the Ayam Penyet (S$4.80) and Tofu (S$0.50). For just over five dollars, it is very value for money. The chicken is pretty huge, with a slightly thicker crisp coating than normal. However, this gives it a nice crunch so I ain’t complaining. The chicken meat itself is slightly bland, but pair it with the curry rice and you are set. I really do like their tofu for its size. It’s exceptionally pillowy on the inside as well. Located in NTU’s Canteen 2, students sure are lucky to have such food gems that are easily accessible to them. 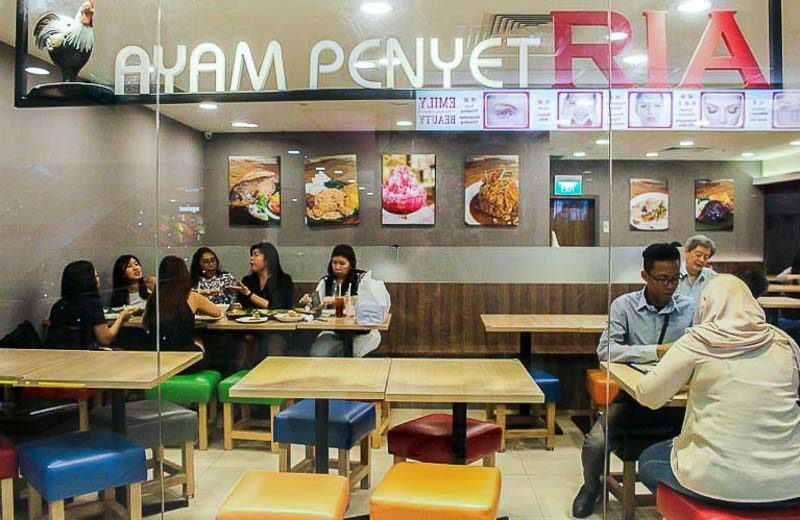 Although Ayam Penyet takes a corner stall, you will notice from the afar the long queue of customers waiting in line to get their ayam penyet. Priced affordably, this Ayam Penyet (S$4.50) is pretty decent in quantity. The flavourful chicken thigh was huge with a satisfying crispy skin, topped with loads of deep-fried crumbs. However, the meat itself was slightly on the dry side. Nonetheless, it is still pretty decent, and the sambal does pack a punch so beware! 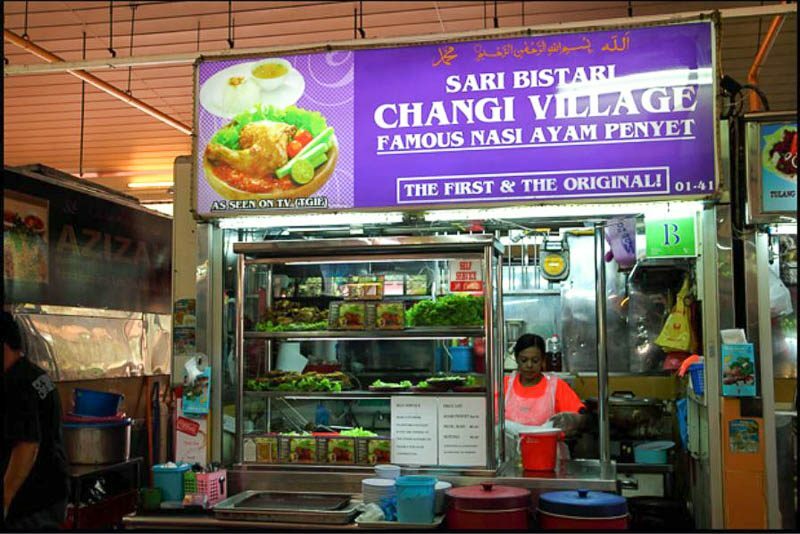 Located at the famous Changi Village Hawker Centre, Sari Bistari Changi Village Famous Nasi Ayam Penyet may be familiar to many NSFs. 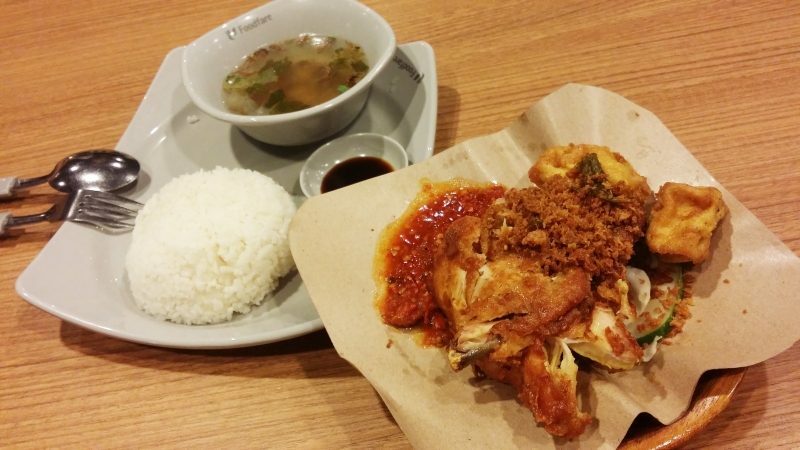 The Ayam Penyet (S$4) here may be slightly smaller in portion, but it does not compromise on its quality. The skin is perfectly crisp, whilst the meat within remains tender and moist. The sambal here is exceptional and really helped elevate the entire dish. 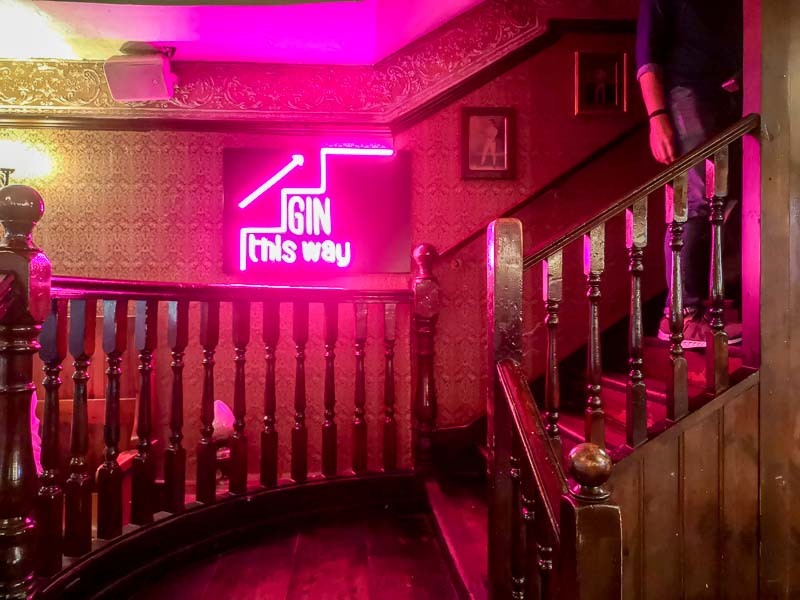 They close once sell out, so do head down early to avoid disappointment! Lucky for us, not all the good ayam penyet are located at the ends of Singapore. This was one of the more highly-raved about places in Lucky Plaza. An Indonesian restaurant that specialises in penyet, I had pretty high expectations for Ayam Penyet Ria. Boy, I was not disappointed. 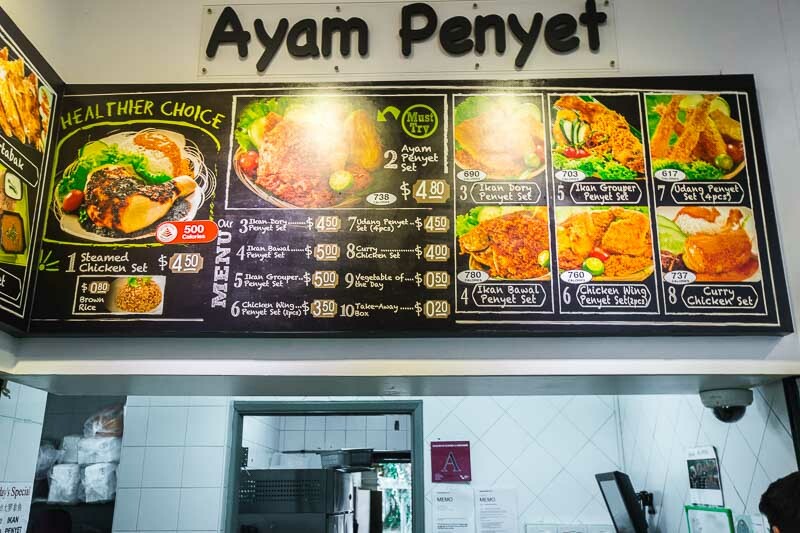 Of course, I had to get the Ayam Penyet (S$8.20). This is the most expensive out of this list, but it’s worth every cent. The deep-fried chicken was tender on the inside, with a thin crisp coating on the outside. It was served on a fresh pandan leaf, which did not alter the taste but I thought it was a nice touch. The dish was accompanied by a bowl of steamed rice with a side of fried tofu, tempeh and vegetables. The tangy sambal here is extremely addictive, and do not worry as it’s free-flow! Shout out to the fried tempeh that was so fragrant with a distinct nuttiness that I really enjoyed. 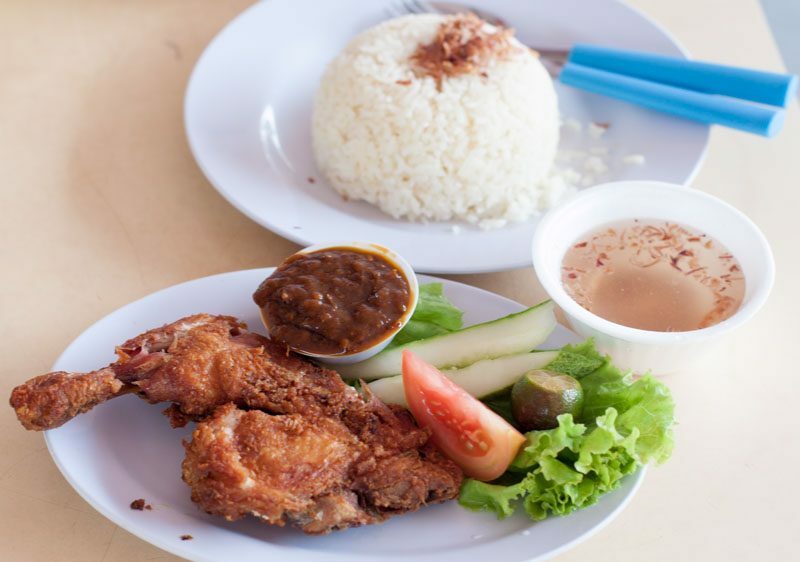 If bones bother you, you will be delighted to know Ayam Penyet Ria offers a boneless version of this dish too! 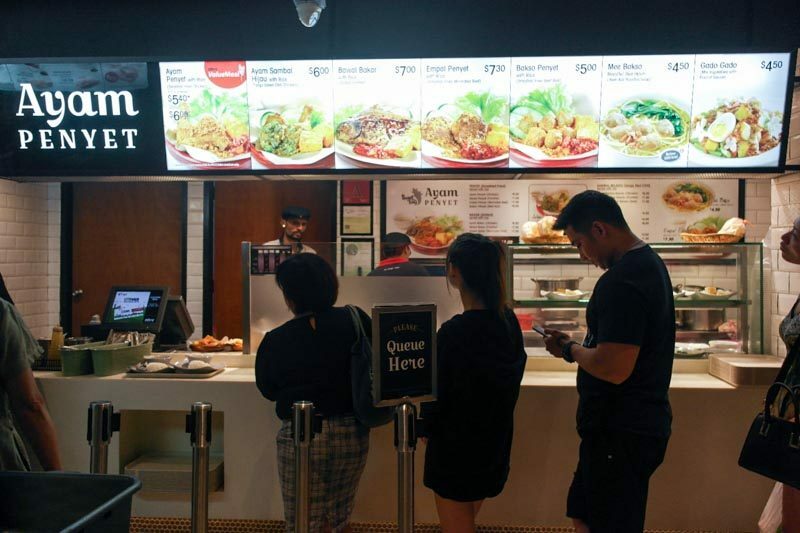 Located at The Arcade at Clifford Centre, I noticed a queue for Ayam Penyet and had to join in to find out what the buzz was all about. Those working at the CBD area, you are in for a treat. 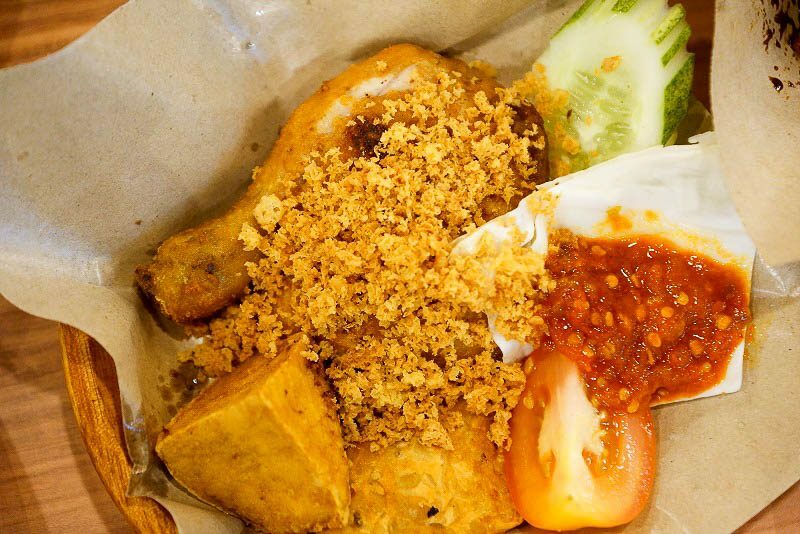 The classic Ayam Penyet (S$6) is pretty standard, with the chicken and a side of fried tofu. I appreciate that the chicken skin was freshly crisp yet maintained a juicy centre. One thing unique here is their sweet, dark sauce can be added. Mixed with the spicy sambal, they make a pretty delicious match. 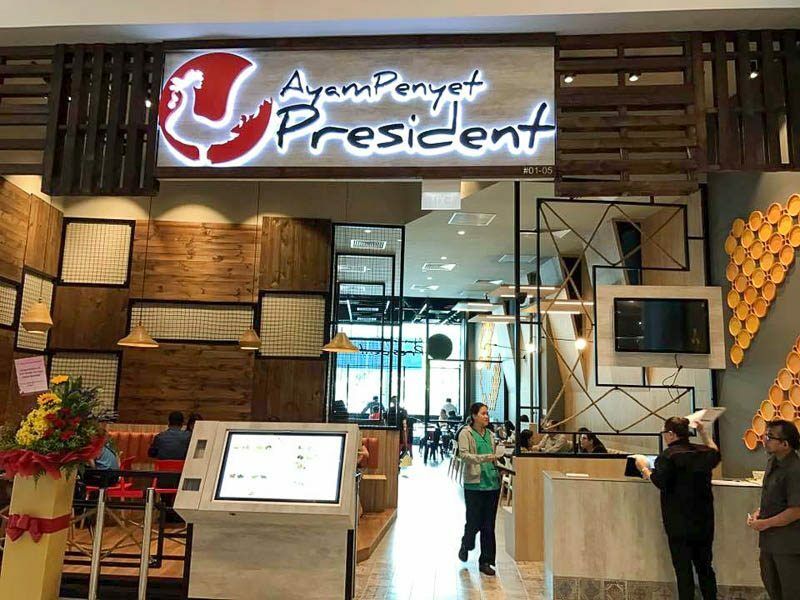 Ayam Penyet President is one of the more popular chains in Singapore, with their newest outlet located at JCube. 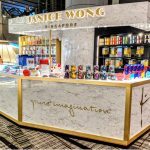 Don’t worry if you don’t live in the West, they have more central outlets such as NEX and Kallang Wave Mall too. This was one of the first places that I had my ayam penyet, and it did leave quite an impression. They were very efficient, and I received my food within five minutes. That’s a good point to take note of if you are in a hurry or you are one who does not like waiting for your food. 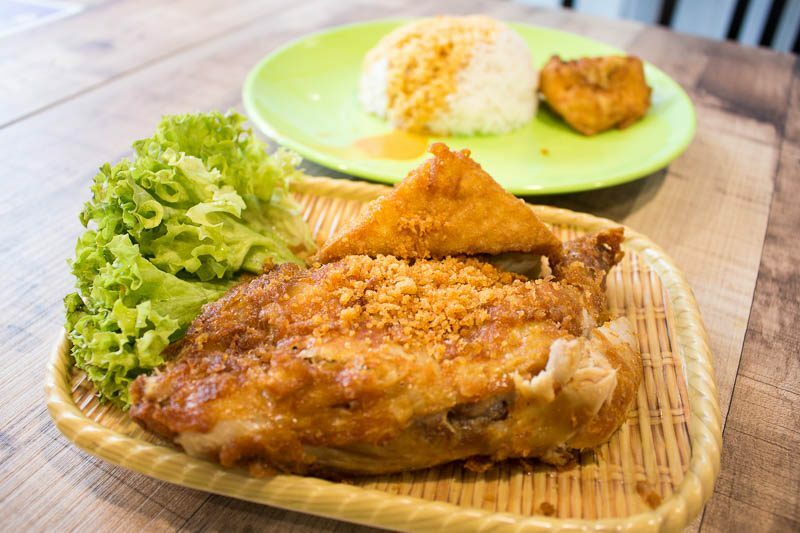 The Smashed Fried Chicken (S$6.90) is pretty affordable, considering you get to enjoy your food in a comfortable air-conditioned environment. The chicken had a nice crisp skin with relatively tender meat on the inside. It is served with fried tofu, tempeh and well as a generous heap of crispy bits. It’s not overly oily and the tempeh was handled well with a subtle nuttiness. Their signature chilli packed quite the punch, so be wary if you can’t handle your spice. Chong Pang Food Centre is well-known for its nasi lemak and perhaps kway chap. 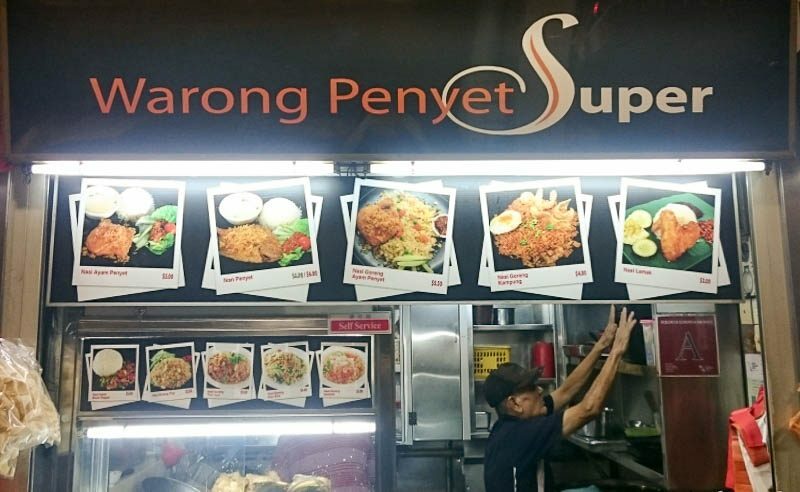 However, not many know of Warong Penyet Super, which is a pity because they serve up a delicious plate of ayam penyet. One of their unique selling points is how they offer fried rice. 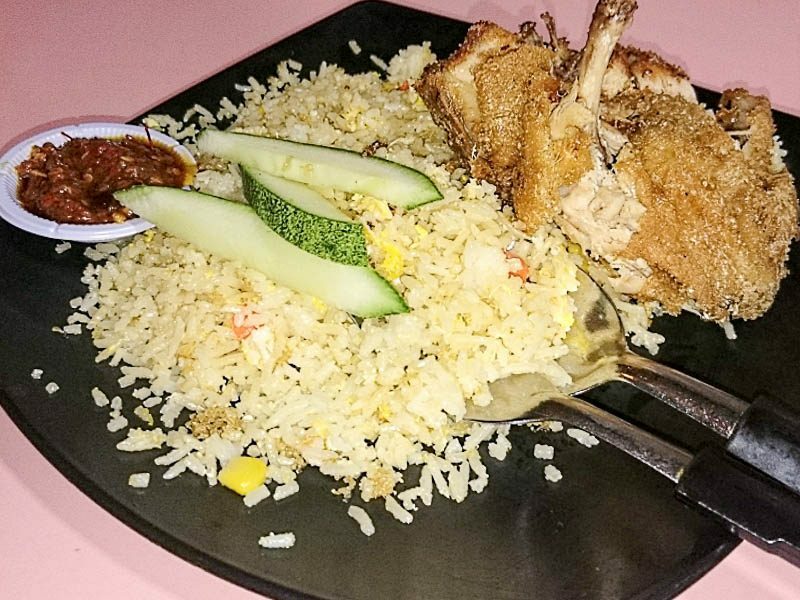 As a fried rice lover, I went ahead to get the Nasi Goreng Ayam Penyet (S$5.50). The fried rice itself was very savoury and tasty. I could foresee myself having it alone. The chicken itself was flavourful, with a touch of spices woven in the meat. The skin was super crisp; dip it in the strong homemade sambal and you will find yourself a winning combination. 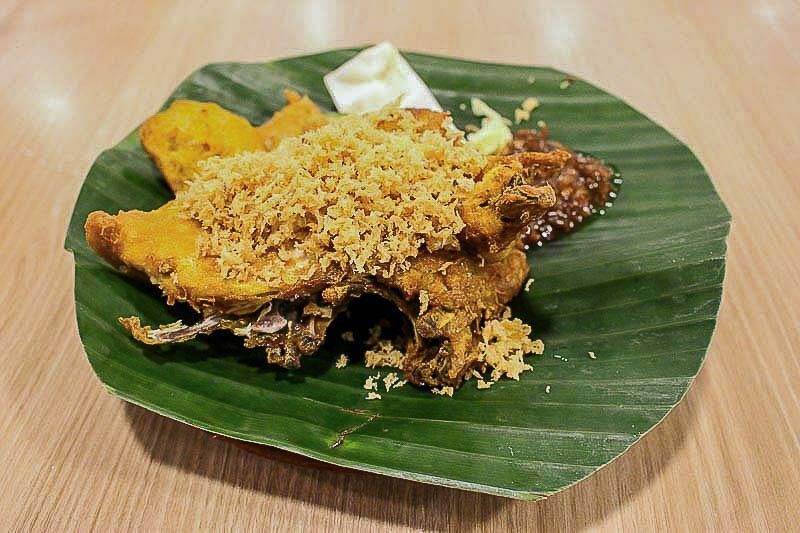 Located at Lucky Plaza, Warung Surabaya Ayam Penyet is no short of competitors with the more famous Ayam Penyet Ria in the same mall. However, this is a good alternative if you do not want to squeeze with the crowd. After all, the food quality is on par in my opinion. 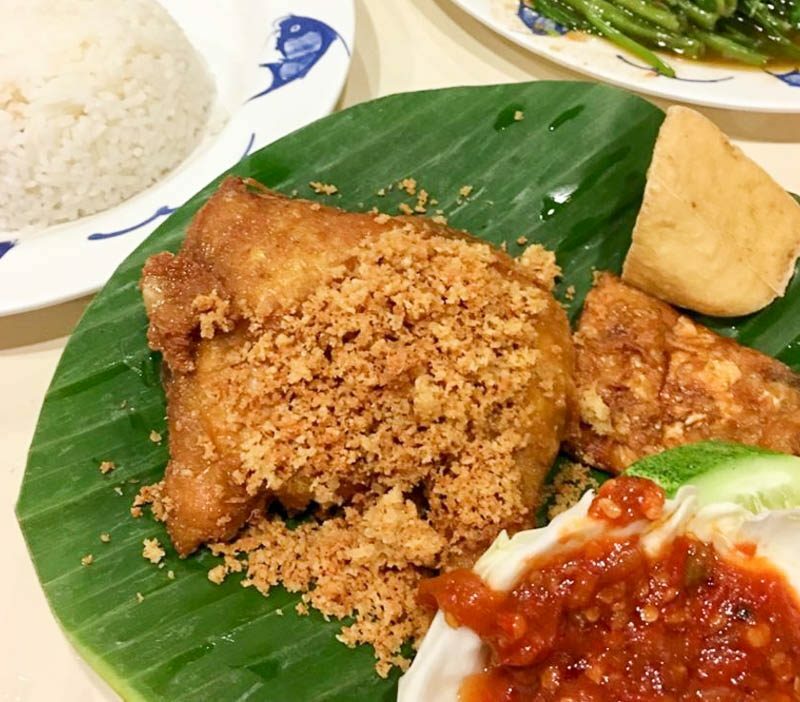 The Ayam Penyet Surabaya (S$7.50) is again served with the usual fried tofu, tempeh and sambal belachan. The chicken here is exceptionally tender, which gives greater texture when contrasted with the crisp skin. The chilli here is really solid for a nice oomph, and I appreciate their generous serving of crunchy bits topped on the well-spiced chicken meat for a wholesome flavour. 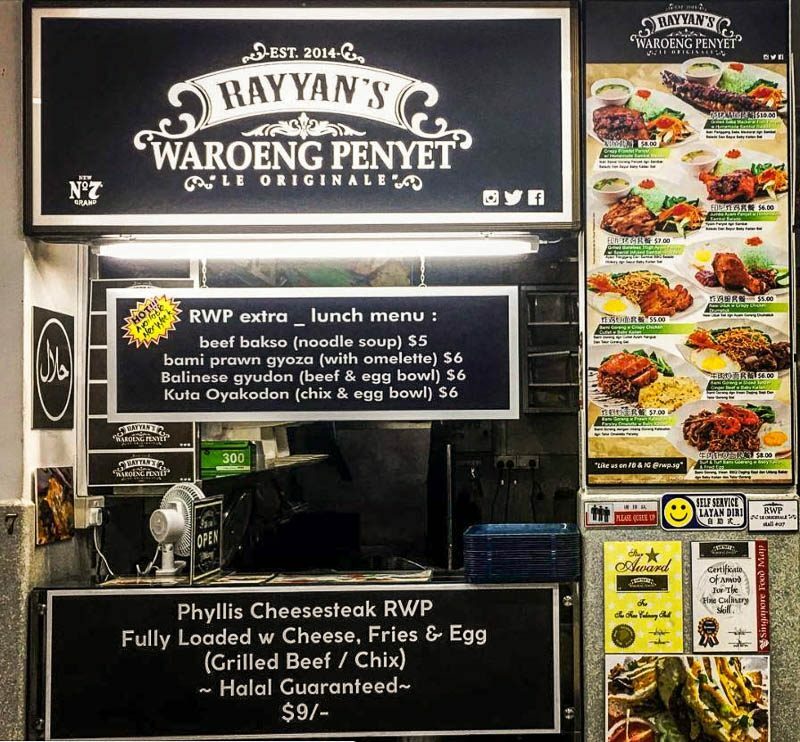 Rayyan’s Waroeng Penyet has shifted quite a few times over the past few years, with their latest outlet at the famous Amoy Street Food Centre. Nonetheless, they have always managed to keep up with their following. When I arrived around lunchtime, a snaking queue had formed. They do serve unique food items such as Balinese Donburi which intrigued me. But I was here for their Fried Chicken Penyet (S$6). The chicken was of a decent size with a crisp exterior and flavourful, tender meat. With the fragrant and fluffy rice, in addition to a dollop of the tangy sambal, it was a perfect combination. Ayam penyet is one of the lesser known dishes in Singapore as opposed to other more popular dishes, I feel. Nonetheless, it is delicious and should be appreciated all the same. 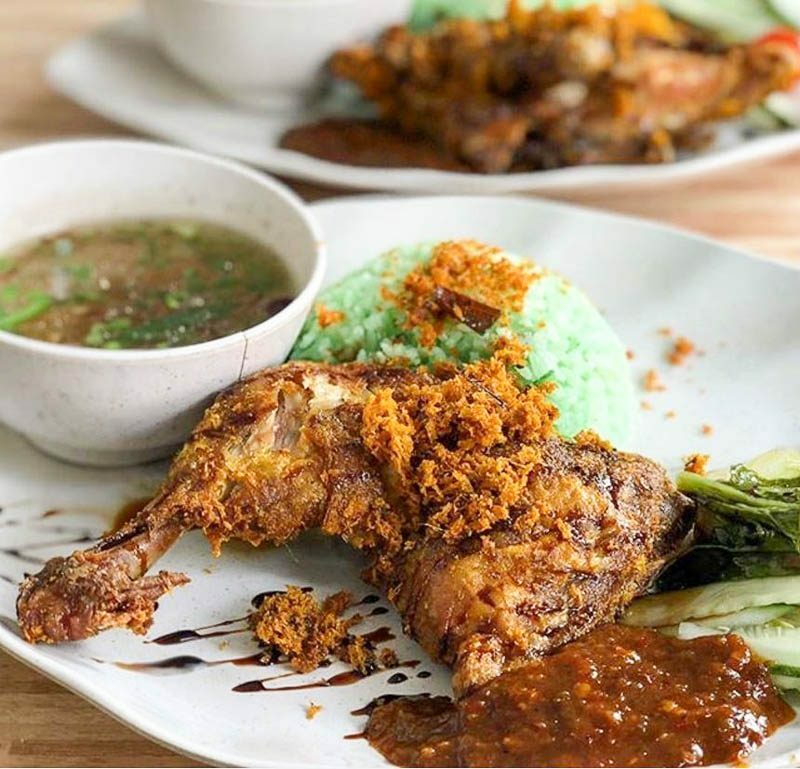 While ayam penyet stalls may be harder to hunt down when you are craving some, now you have a list of places to satisfy your smashed chicken cravings!